There is an amazing range of places to eat out in Shepherd’s Bush and Hammersmith to suit every taste and every pocket and all within easy reach. The vast majority are located along the Southern Terrace at Westfield and The BBC development where there are an eclectic range of international cuisine. Gastro Pubs: For the Gastro Bar lover there is an extensive selection. They include: The Princess Victoria and Queen Adelaide (Uxbridge Road), The Goldhawk and Stinging Nettle (Goldhawk Road), The Anglesea Arms (Wingate Road), Andover (Aldensley Road), The Grove (Hammersmith Grove), Stonemasons Arms (Glenthorne Road), The Blue Anchor and The Dove (Both on Lower Mall). The Carpenters Arms on Black Lion Lane, The Eagle on Askew Road and Havelock Tavern on Masbro Road. Restaurants: For more formal dining there are is fantastic selection of established restaurants offering a wide variety of cuisine including Pope’s Eye Steak House (Blythe Road), The River Café (Thames Wharf), La Trompette (Devonshire Road) and Le Vacherin on South Parade to name but a few. There is also an amazing selection of takeaway restaurants from which to choose, including Chinese, Curry Houses, Pizzeria’s, Greek, Iranian and Polish, predominately located along King Street, Goldhawk and Uxbridge Roads. Pubs: You will never to too far from a drinking establishment in Hammersmith or Shepherd’s Bush. There are well over 70 good local bars ranging from sports/music bars like Defectors Weld (Shepherd’s Bush Common) to your typical “local” such as the Crown and Sceptre (Melina Road) and the Bird In Hand on Masbro Road. 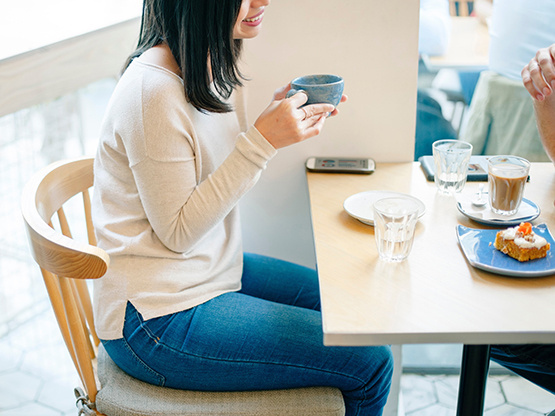 Cafés: Rather than the plethora of High Street chains, we have a pleasing selection of independently run cafés and coffee shops. Worthy of mention are Swallow Coffee Shop on Goldhawk Road, Betty Blythe on Blythe Road, Fait Maison on Goldhawk Road, Buchanan’s on Aldensley Road. Of course, for those who prefer, there is a Starbucks on Askew Road and a Costa on Goldhawk Road.